At atmospheric pressure and ambient temperature a solid surface, which incorporates about 1015 atoms/cm2 receives a flow of incident gas molecules and atoms of the order of 1023  per second and square centimeter. This means within nanoseconds the surface will be covered by some layers of gas molecules. The probability of a molecule to stick on the surface depends largely on its nature and the nature and topography of the surface. 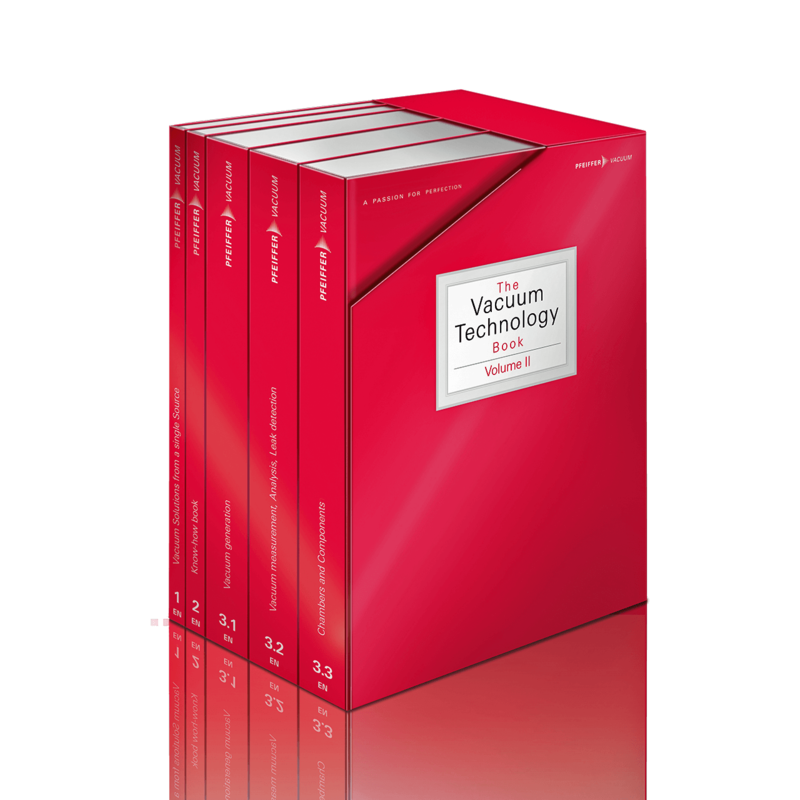 But even minor traces of reaction by-products in the ppbv range (parts per billion of volume, i. e. 10-9) which hit the surface at a rate of 1014 s-1 cm-2 will cover a surface within seconds if the sticking coefficient is high. Airborne molecules can be either polar or non polar. In non polar molecules the electrical charges are symmetrically distributed, the centers of positive and negative charges coincide. Examples are nitrogen N2 or the linear CO2 molecule. 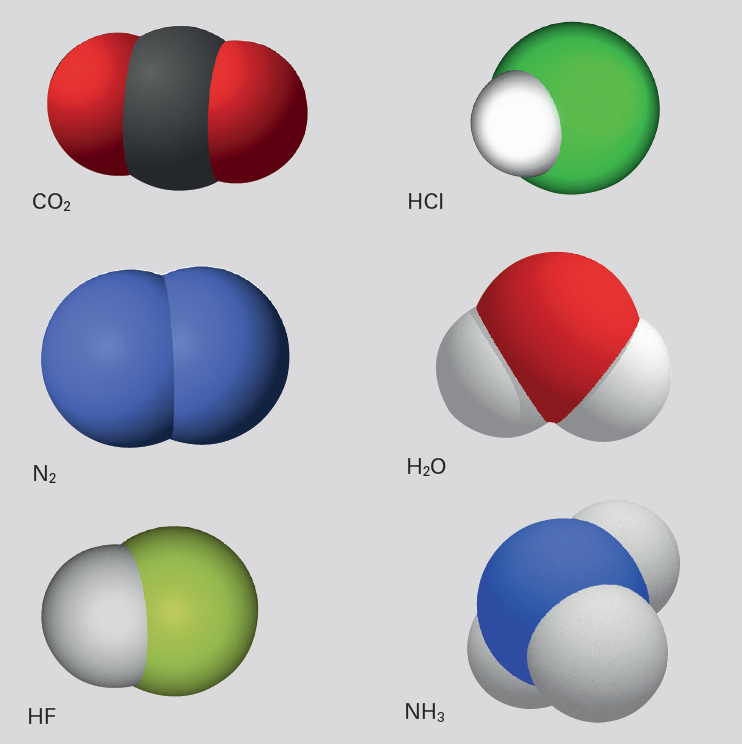 These molecules are kept on a solid surface by weak van der Waals forces, with binding energies typically ranging between thermal energy RT ≈ 2.5 kJ/mol and about 20 · RT. In polar molecules the electrical charges are asymmetrically distributed resulting in a permanent dipolar momentum. Examples for polar molecules are water H2O and inorganic acids used in semiconductor etching processes like HF and HCl. Binding energies of polar molecules are higher, e. g. for H2O on a Si(100) surface about 138 kJ/mol. 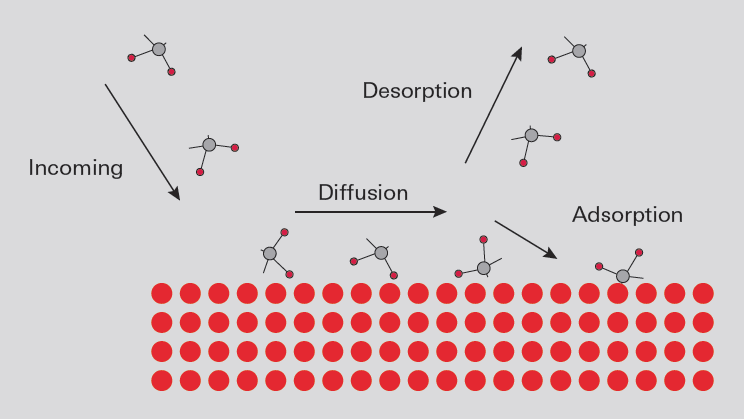 These molecules are likely to interact chemically with the surface, forming nuclei for further reactions.